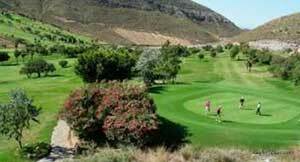 Almeria's 7 of the best golf courses. Desert Springs near Cuevas del Almanzora, an established desert style competition course. Desert Springs Golf resort has beautifully manicured fairways with a wild west style back drop of rocks and cacti. 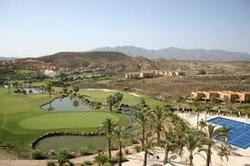 It opened in 2000, and has quickly became one of the most popular golfing destinations in Spain. Located high on a plateau above the Almanzora valley, it has awe inspiring views of the surrounding mountains and a cool Mediterranean sea breeze can be enjoyed by players any time of the year. 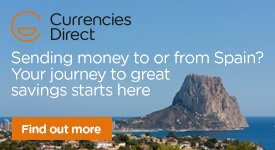 Mojacar we have the popular Marina Golf course which is situated close to the beach between Mojacar & Garrucha a fairly established course with great sea and mountain views and close to a number of great hotels. Almeria´s oldest course is Cortijo Grande, a 9 hole course situated a the foot of the stunning and beautiful Sierra Cabrera mountain range. 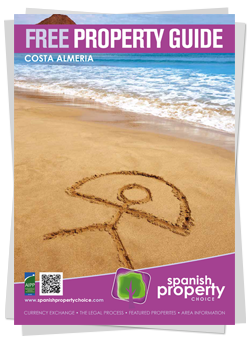 Another fairly new course is Playa Macenas just along the coast from Mojacar Playa. If you head south of Mojacar you come to the Cabo de Gata, there you will find the Alboran Golf resort that was opened a few years ago. Known as challenging course for all players. 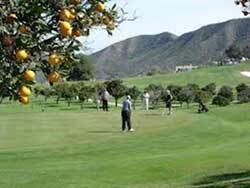 An inland Golf resort is La Envia Golf located in the municipality of Vicar. This golf course was built in 1993 and is an 18 hole par 70 course.